This entry was posted in Mixed Media, Papercraft, Tags and tagged Creative Medium, Dreamweaver, Encrusted Jewel Kit, Goosebumps, Holtz Distress Paints, imaginecrafts, Large Lace Border Stencil, Liquid Pearls, Magic of Beginnings, Mixed Media, rangerink, Recollections, Stickles, Take Care of You, Unitystampco by dannscraftingwhims. Bookmark the permalink. 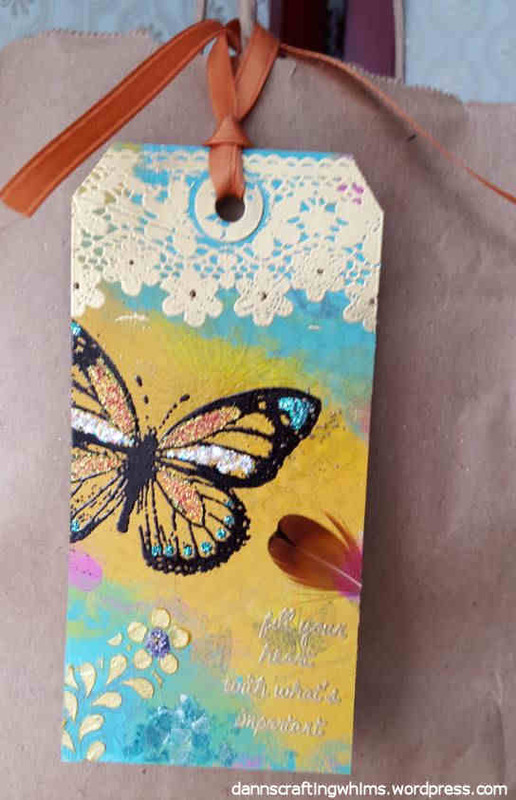 Love this mixed media tag. Great texture. Lovely tag and filled with pretty detail. 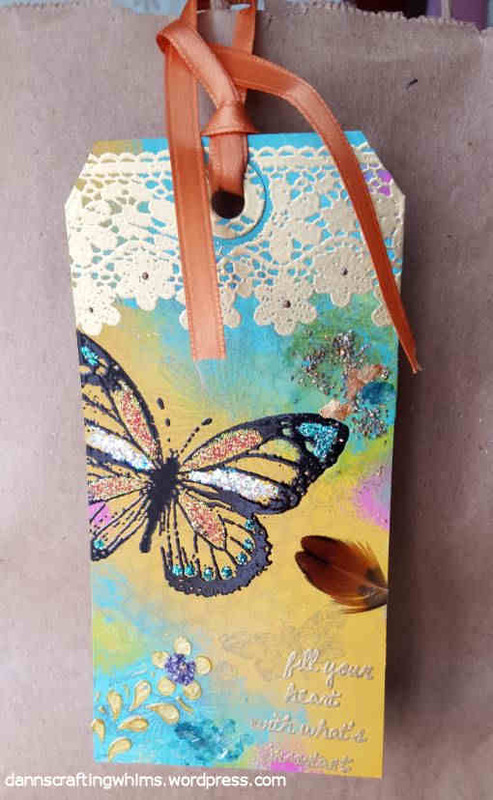 LOVE this mixed media tag! All the textures and layers are so pretty! What a cool tag. I love all the dimension. 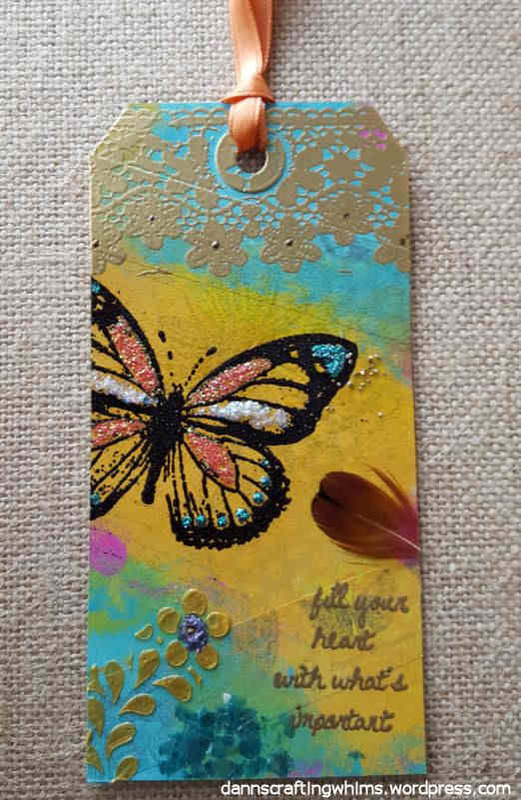 terrific mixed media tag – wonderful colors and layers! So much beautiful embossing! Love it! This is such an elegant tag! 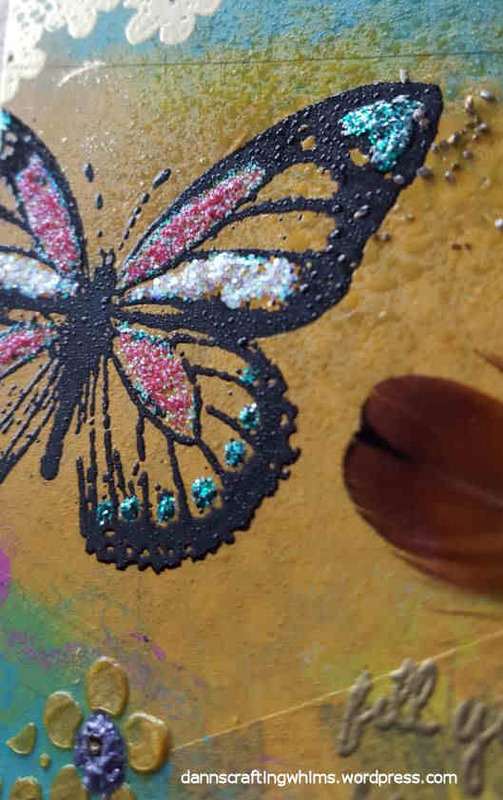 I love the lace look that you created at the top and the butterfly is such a great image. It all goes so well together and the sentiment is powerful. I love that concept of recognizing and remembering what truly is important to us. Thanks for sharing such an inspiring piece with us for this week’s Simon Says Stamp Monday Challenge! This is so pretty! I love that butterfly! Thanks so much for playing along with the Simon Says Stamp Wednesday Challenge! this is gorgeous! i love all the textures and color 🙂 thank you so much for helping me celebrate my blogiversary!!! 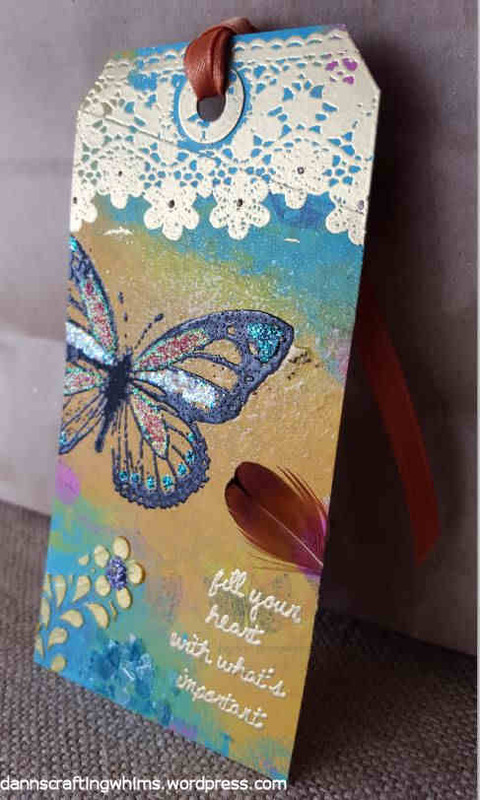 Wonderful and so well done – such loveliness on this tag – yummy textures and awesome dimension!! So pretty! !